There’s a little bomb in your airbag | Just something I was thinking about . . .
Yep, it’s true, heard it on the news the other night. A company in Japan is being investigated for injuries caused when the automobile airbags they manufacture are exploding into the very people they are made to protect. Japanese airbag manufacturer Takata Corporation originally discovered the issue back in 2004 and began to investigate, according to insider reports, but then shut that internal investigation down and destroyed all evidence collected. 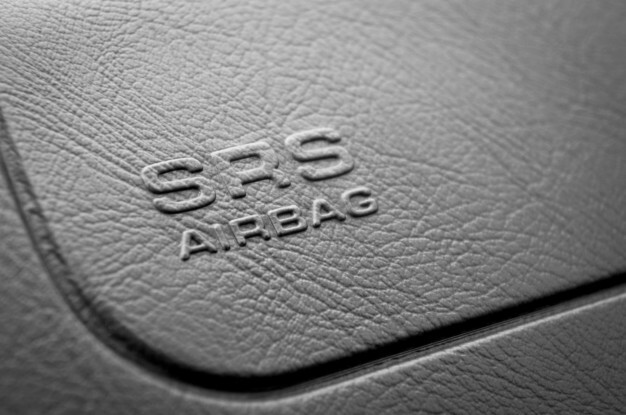 The airbags in question were made at the company’s Monclova Plant in Mexico. The issue and several recalls, involve defective inflator and propellant devices. In 1998, Takata publicized the fact that they were using tetrazole, a new propellant developed as a “reliable and effective compound” for airbag inflation. By 2001, they had switched to an ammonium nitrate compound, which is among other things a cheaper alternative. Ammonium nitrate is highly sensitive to temperature changes and moisture. It also breaks down over time, which can result in violent combustion. Ammonium nitrate is used in fertilizer, in the manufacture of explosives, and in solid rocket fuel. Still considered one of the worst accidents in Texas history, in 1947 a ship, the S.S. Grandcamp was taking on a load of ammonia nitrate, when it caught fire and exploded (killing close to 600 people. It had caught on fire and the fire department was trying put it out when it became unstable and exploded killing all twenty-six Texas City firemen. They all thought it was just fertilizer and had no idea of the danger. Wow, does that sound familiar – they had no idea of the danger. My point here, Takata manufactured and sold these devices that have been installed in almost 8 million vehicles in the U.S. alone, according the National Highway Traffic Safety Administration. These defective airbags explode releasing metal shrapnel pieces. My research showed that the other airbag manufacturers do not use this type of propellant. Pretty nasty stuff, especially when I already worry as close as I have to sit to the steering wheel that I’m going to be decapitated or have my chest crushed as it is . . . I have to be honest, I had never given a thought to how my airbags worked, and I’ll bet most of you haven’t either – yet we use these unconsciously every day, with them pointed at our faces and chests. Amazing, isn’t it, that a “cheaper alternative” for propellant, despite its unstable nature,was the choice that the company made to save a few bucks. Forget about putting people’s lives in danger. Yikes! Hard tobelieve that a company would do that given it would inevitably be discovered. i know they will lie and cheat and kill and such because, as an entity (as defined by the Supreme Court) they are psychopathic (by definition actually – unable to feel the emotions of others). But it is nuts for them to do anything that they knew would be eventually discovered and come back on them. Sigh, I guess stupid has to be added to dangerous. I have read about this also, but I wonder just how serious this really is. I have never heard of this happening in the geographical areas that I’m familiar with. I drove a 2005 Tundra over 235000 miles, I know a lot of Toyota owners in that vehicle age and model group with no problems and I have heard of none of the air bags malfunctioning or injuring them. I’m also familiar with two Toyota dealers that have sold a lot of cars and they have never heard of this problem of spewing metal in an accident or one even prematurely opening. None of my circle of people that I know or deal with have had any problems with their air bags at all on any brand of vehicle. I have read nothing about it other than an air bag or two inflating in a couple of thought minor collisions, but instantaneous G forces are hard to judge. But no one has heard or known anyone being injured by an air bag. They do teach in Smith Driver’s training to hold the steering wheel at the 9 – 3 positions so your arms are not in between you and the air bag, your arm and hand bones can cause serious injury to your face. But the NTSB still agrees that the advantages of air bags far out weight the relatively small chance of an air bag injuring you. I’m glad the manufacturers have in place the recall process but unless you are driving one of the millions of Hondas affected, it really appears that the chances of us being injured by this is relatively low. Other than being cautious and driving with hands in the 9 – 3 position precaution, I’m glad I have air bags, they save lives. If I had an affected car or truck I would indeed follow the recall but I don’t know if the statistics show that even for Honda owners that the chances are that great that they will be injured by this.